Premier League Previews for Sunderland v Hull City along with Prediction. Included in my preview is my pick, statistical analysis for each team, recent form, and betting odds. The week 25 Premier League Predictions have been posted, so go read up on my EPL picks for the weekend. You can use this preview for your own information or as betting tips to use for any of the Premier League Betting Links here on the blog. Be sure to also check out the Premier League TV Schedule and 2013-14 Premier League Table. If you are interested in placing your own wager using the information here, check out the Premier League Betting links page. The Black Cats have really turned their season around. Following their 0-3 away win over rivals Newcastle United they have just one lost in their last 14 matches in all competitions. In the Premier League they have lost once in their last nine matches. They have managed to pull themselves from the bottom of the table all the way up into 14th place with the chance to go even higher with a win this weekend. Hull’s season has been slightly derailed after a strong start. They are now in 14th place with 24 points, only two above the drop. In their last six matches they have just one win to go with their four losses in the Premier League. During this time they have failed to score in four matches while giving up at least one goal in all but their lone 6-0 win. 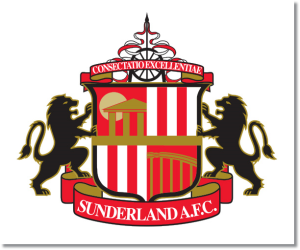 My pick is a Sunderland win thanks to their newly found form. Sunderland has won five out of their last six meetings with Hull City downing a 9 man Sunderland 1-0 in their early season match back in November.